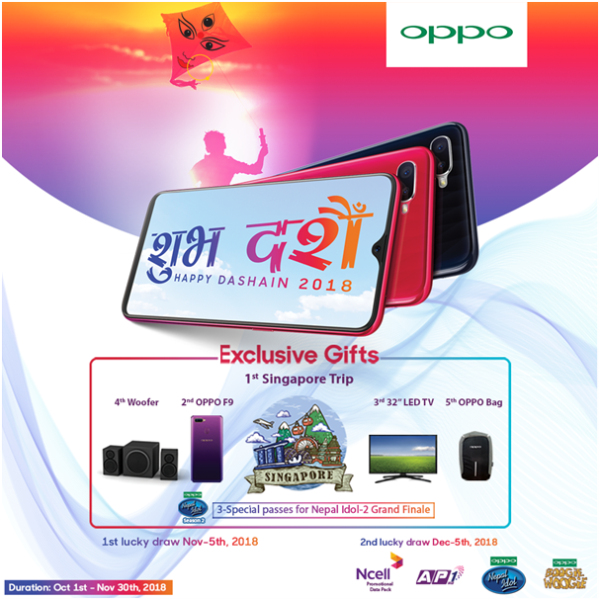 OPPO announces “Best Dashain Gift” Campaign 2018 during the grand festival of Nepal. 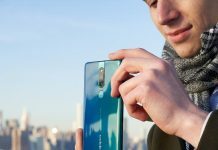 OPPO, the Selfie Expert and Leader, has announced its special gift campaign for the grand festival of Nepal “Dashain and Tihar.” The Campaign “Best Dashain Gift” will provide its consumers with a fantastic opportunity to win numerous attractive gifts on the purchase of OPPO phones during the festivity season. “Being a global company, OPPO has always believed in localization. 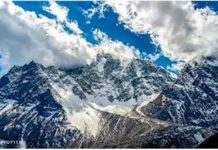 Nepal is one of the priority markets for us. Its richness in cultures, traditions, and simplicity in diversity has always inspired us. 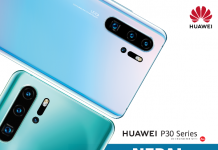 Hence, with an intention to celebrate the grandest festival of Nepal “The Dashain” and “The Tihar” we have introduced “Best Dashain Gift” campaign to share the happiness along with our valuable fans here in Nepal,” said Mr. Bobby Zhao, CEO of OPPO Nepal. Throughout the campaign, with every purchase of OPPO phones, customers will be provided with a lucky draw coupon. Through all the collected lucky draw coupons two lucky draws will be held. The first lucky draw is scheduled to be held on 5th of November 2018. Second and final lucky draw will be held on 5th December 2018. Through the lucky draw, winners will be awarded 1st pa rise: Singapore Trip, 2nd prize: OPPO F9, 3rd prize: 32-inch LED TV, 4th Prize: Woofer, 5th Prize OPPO bag. Amongst the participants, three lucky winners will be chosen and will be provided with passes for “OPPO Nepal Idol -2” Grand finale. Commenced from 1st of October the campaign will be into effect till 30th November 2018.